The Radiophonic Workshop was set up in 1958 to provide sound and electronic music for BBC radio and television drama. They are true pioneers, often mentioned in the same breath as Kraftwerk as real the electronic music legends. 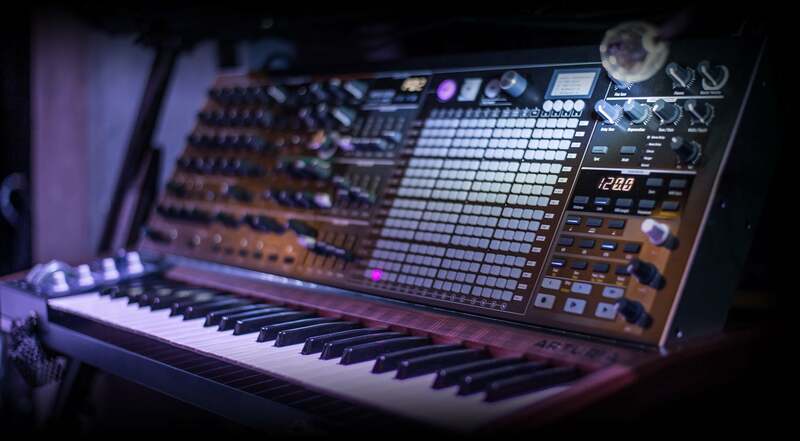 Radiophonic Workshop has created a sound pack for MatrixBrute, in their classic, original style. “When I first saw MatrixBrute, the picture of it, it looked to me like someone had taken the MS20, supercharged it, and found a way to add a digital patch bay. You’ve got three oscillators, two LFO’s, and the patch bay, so you can within reason assign anything to anything. There are obscene, absurd modulations going on. Leads, pads, sci-fi zaps, it can do anything”. Here you will find vintage synthesizer patches, sci-fi sounds, and experimental sounds of the 60’s which are still very usable in the modern day. Import into your MatrixBrute and create your own Dr Who influenced soundtracks. Some filtered noise for a background made of explosions and cold wind. A repetitive dissonant alarm. The Air Raid preset tells the story of a night nobody wants to live. A mysterious cove echoing the call sent by a ghost ship hidden in the fog. Deprived of the sight, hearing will be the only sense to guide you. An undefined lead sound constantly oscillating between softness and sharpness while keeping undoubtedly consistent and melodic. What would be the last sounds we could hear in case of a rupture of the space-time? The Cataclysm SFX lets you get a preview. “If you wanted the sound of a car crash or a door opening you could go to a sound effects library. If you wanted the sound effect of someone having a nervous breakdown, you need something a bit more creative. In 1996 the BBC Radiophonic Workshop had been asked to close down, it had all become very affordable and Mark Ayres was asked to come in and archive it. The kind of thing the Radiophonic Workshop started doing, which was tape music, and these rooms full of analog synthesizers were no longer necessary.